Past projects that we are either wrapping up or have been completed. 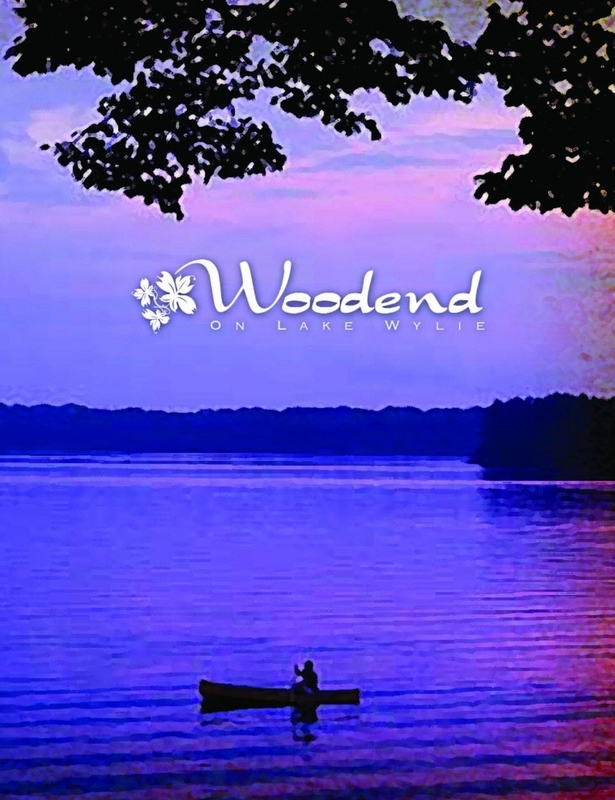 As the managing partner we negotiated and concluded the initial 350 acre land purchase on the shores of Lake Wylie, SC. 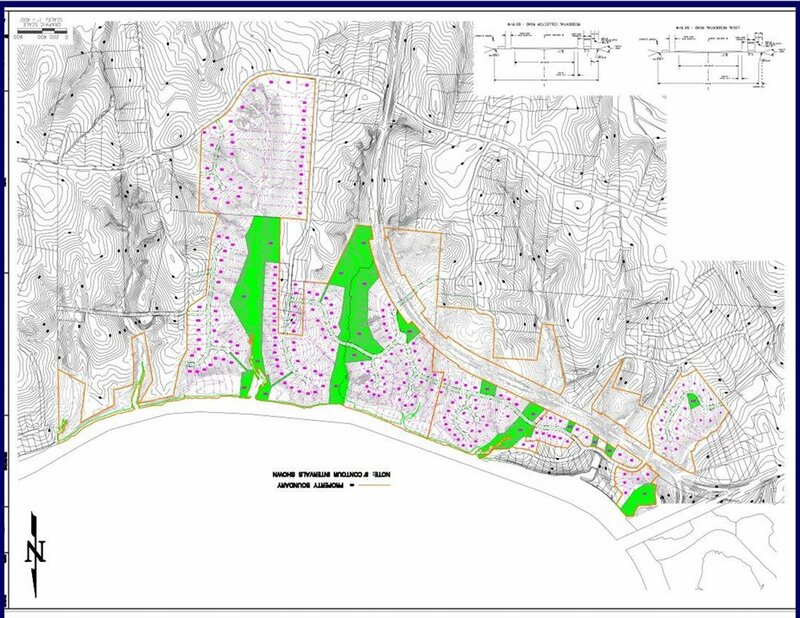 Then we worked to assemble another 100 adjacent acres over five parcels. 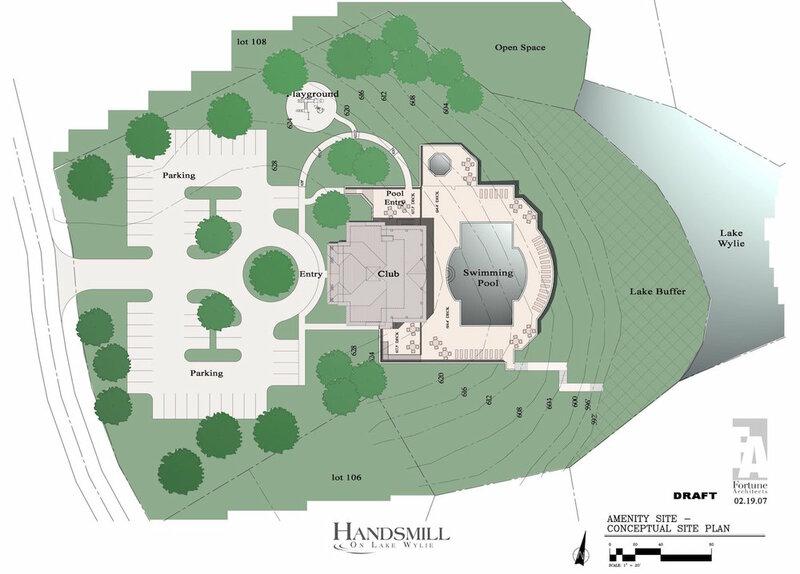 Developed the master plan for a 650 home waterfront community with 60 slip marina, and designed and built the first LEEDS qualified community center in the southeastern United States. 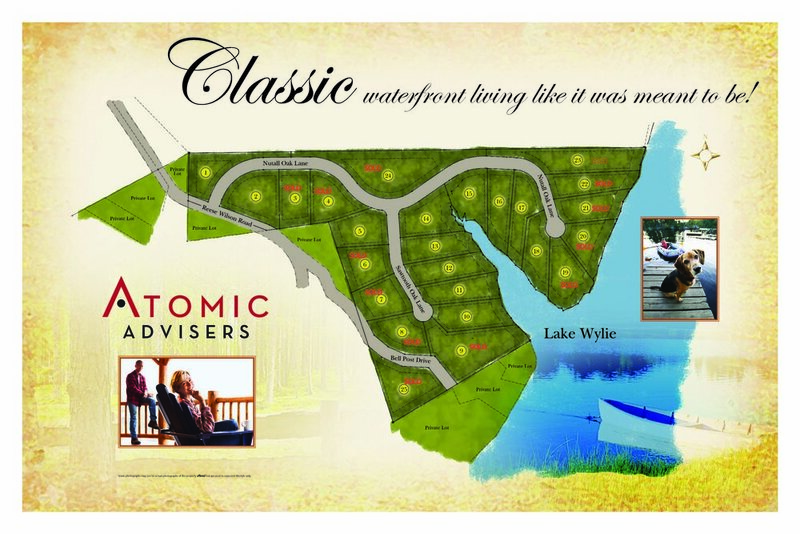 A singel family waterfront development in the charming village of Belmont, North Carolina. We took over management, P.O.A, and marketing of this community from the original developer, and negotiated the debt down bringing it out at 30 cents on the dollar. This benefitted the original developer, and allowed us to finish selling out all of the lots in the community. We created the partnership that acquired this land tract for a residential gated community in the town of Weddington, North Carolina. Handling all negotiations with the banks and contractors for development. Again used the "Power of Three" to create three scenarios for marketing this community showing financials for permitting and flipping to a developer, self developing and selling of single lots to families, and developing and selling of discounted lots to custom builders. At various points of no return we developed and marketed the community to individuals with pre-approved custom builders. The Great Recession hit and through aggressive negotiations with the lender we were able to re-negotiate the terms of the mortgage in order to work out a plan to sell the entire property. We targeted new builders coming into the Charlotte market to take advantage of the lower land prices with a closed bid marketing approach. We eventually sold the entire developed community to Meritage Homes and we were able to recoup all the partners' capital and pay off debt obligations. We acquired and developed this boutique gated community of single family homes in the charming little town of Weddington, North Carolina. We created the marketing strategy and worked with custom home builders to kick the community off with quality upscale homes. In keeping with the power of three philosophy we also continued to market the community as a flip opportunity and single lot sales to individual families. We eventually flipped the whole community to a wealthy developer out of Florida. The owner of this charming development got into trouble and we stepped in to re-negotiated the bank debt and bought 51% control. We proceeded to get all the land planning and engineering done for this beautiful lakefront residential community in the Carolina Forest section of Myrtle Beach SC. After cutting the roads for the development, we sold off the dirt to create the lakes for the community which made enough capital to pay for the entire first and second development phases. We started negotiating with different brokers and investors and eventually sold the entire tract, pre-development, for the highest per acre price ever paid in Horry County. This raw land package in Pawley's Island South Carolina had a low density SF zoning on the main road artery along the South Carolina coast. Pawley's Island located in Georgetown County is one of the toughest entitlement rezoning local governments in South Carolina. We put the land under contract, performed all the necessary due diligence, then decided to close on the property and rezone post close because of the low cost per acre of the acquisition. I identified the best consultants in Georgetown County, established the budget for rezoning and first phase development. We successfully rezoned the land into a mixed-use commercial and higher density single family development. In keeping with the "Power of Three" we kept multiple liquidation options open and decided to sell the property to an investment development group. We returned to the partners a 60% ROI within 12 months. J.R. Pettus invested and then was elected as managing partner for a 500 acre waterfront land tract on Lake Norman, North Carolina. In keeping with the "Power of Three" we developed three distinct plans for this large land tract. First, we did a preliminary analysis of converting the land into a conservation easement and taking the federal tax credits for our partners, or selling the tax credits to other investors. 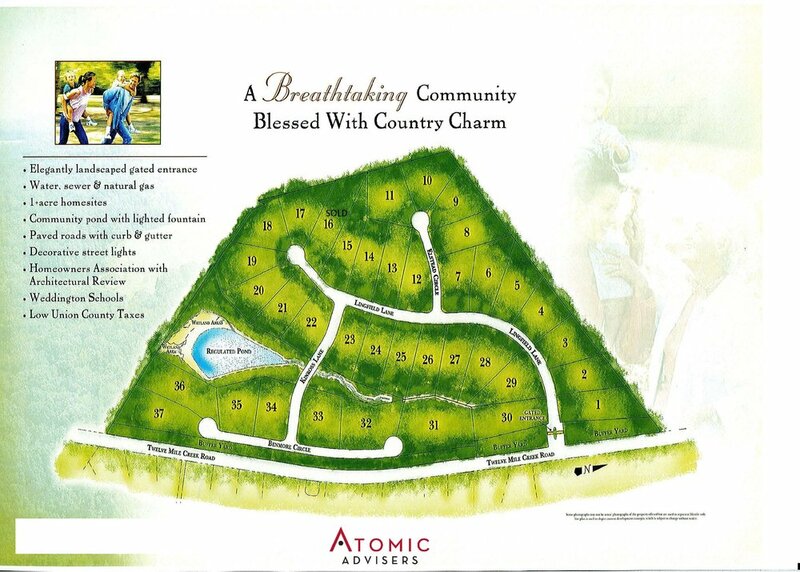 Second, was to create a land development plan for active adults, an age targeted retirement community based on a unique concept to create a self-sustaining zero P.O.A dues community. Third, was to permit and flip to a larger developer. The recession in 2008 hit and we started debt re-negotiation with our primary lender and all stakeholders. The bank sold the mortgage on this land tract to a private investor, after contacting the investor J.R. started negotiations to purchase the debt from the new debt owners at a slight premium over what the investor originally purchased while simultaneously launching an effort to secure a conservation easement on the property to sell the tax credits to a single wealthy investor. We had four weeks to pull off a deal with the new debt holder and secure and sell the tax credits before the end of the year. Normally it takes four to six months to pull off a federally approved conservation easement, but because we used the "Power of Three" examining the conservation easement option on the front end, and with a tremendous amount of hustle, we were able to accomplish the easement qualification, easement recording and sale to the investor in record time in December of 2010. © Copyright Atomic Advisors 2016-2018, All Rights Reserved. Brokers Protected.